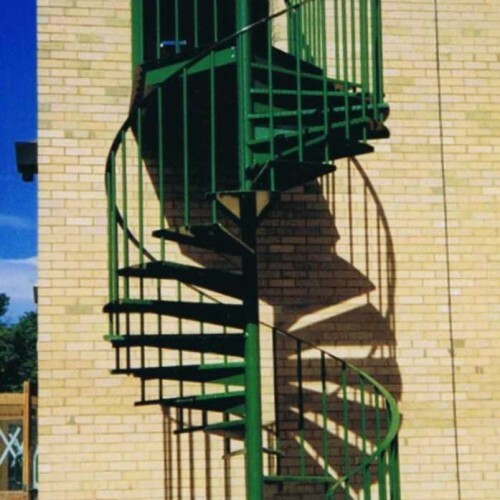 We have various standard sized spiral staircases that cover most domestic applications but if you require something a bit more bepsoke then contact us for a quotation via our enquiry form. 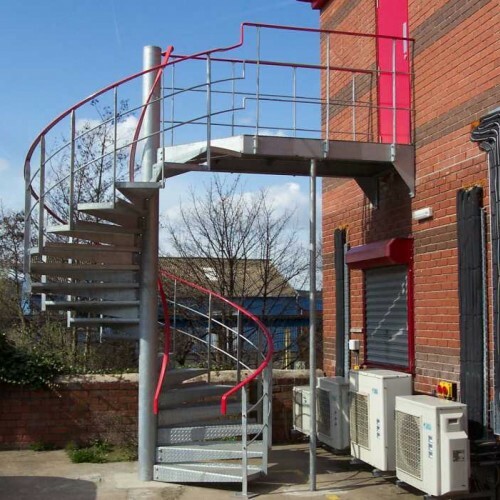 Our bespoke steel staircases meet all current building regs for the specified building use whether it be commerical or domestic. All fabricated products are designed and manufactured in sheffield by DioMet to the highest quality and can incorporate various design features or be kept minimalistic driving costs down. 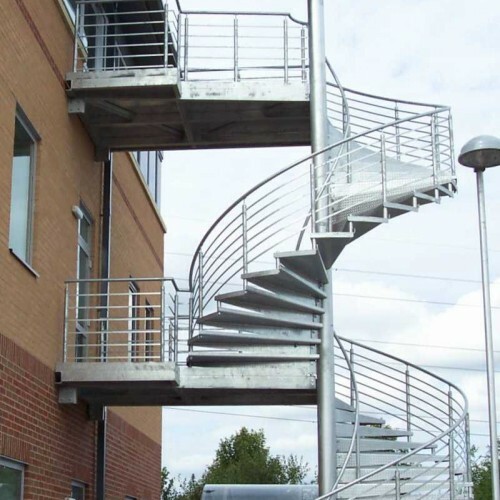 Galvanised steel is the standard finish on external fire escape stairs, as pictured however we can have them powdercoated to any colour or supply in primer painted finish if prefered. 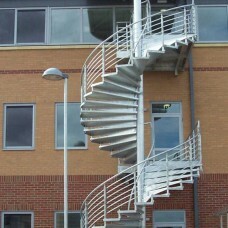 We offer a full service from survey, design, manufacture right through to installation. Our site team install all over the UK so please contact us with your enquiry whether it be a small DIY package you are looking for or a multi-story project you are undertaking. 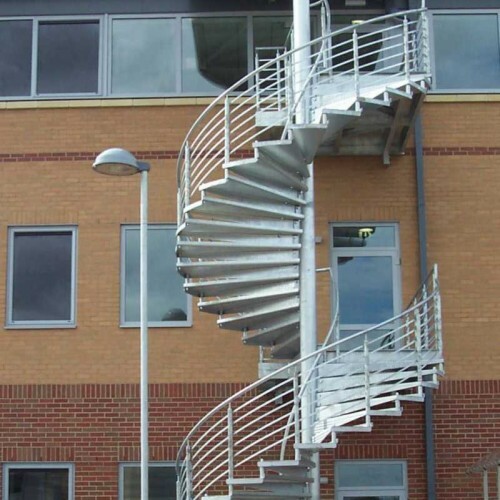 Most staircases can be manufactured and completed within 3-4 weeks from order placement dependant on the design and customer completion deadlines.